Looks Like a "Snakes" Type of Game, Right? Snafu is a game for the Mattel Intellivision hailing straight out of Mattel, courtesy of Mike Minkoff. 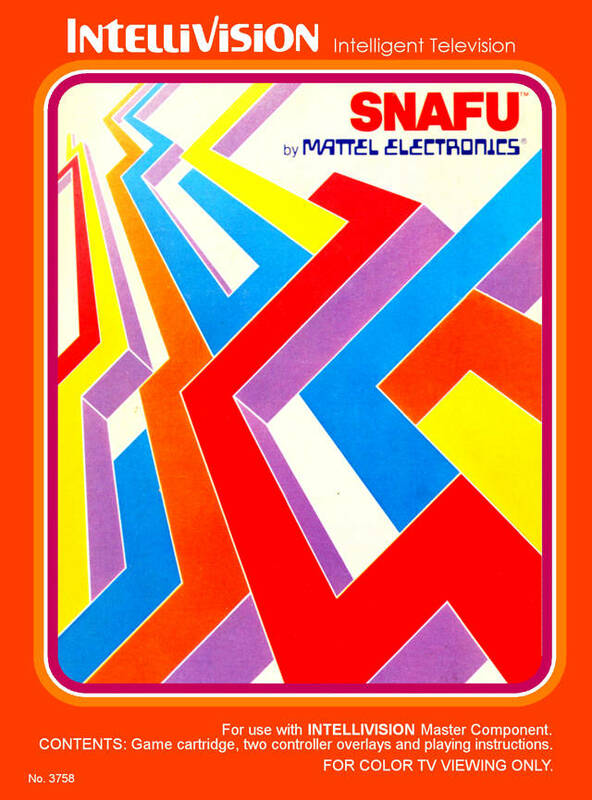 Released in 1981, it’s a game where players control an ever growing snake and attempt to be the last of four to survive. The game gets trickier the longer a match lasts and it’s ideal for two players. John: One of the best games we played. It was a fun variant of the familiar snake game and it actually had a soundtrack, not just beeps and boops. This brought back memories of me draining the batteries on my dad’s Nokia cell phone; really fun game. Jeff: This was one of the best games that I’ve played on the Intellivision, although that isn’t saying much. After all, this was just competitive snakes on a thirty year old system.